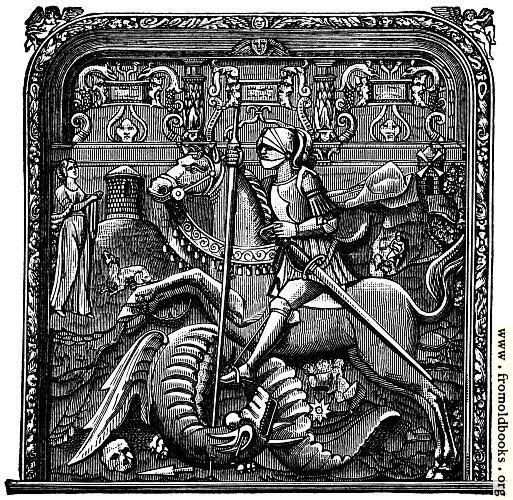 A knight in armour [US: armor] rides a horse. 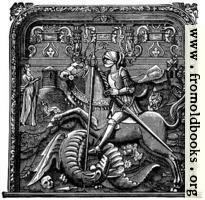 He carries a lance, wears a sword, and fights a dragon; presumably this is St. George, patron saint of England. In the background is a castle or tower on a hill, a lady with a dog, and on the other side a windmill. 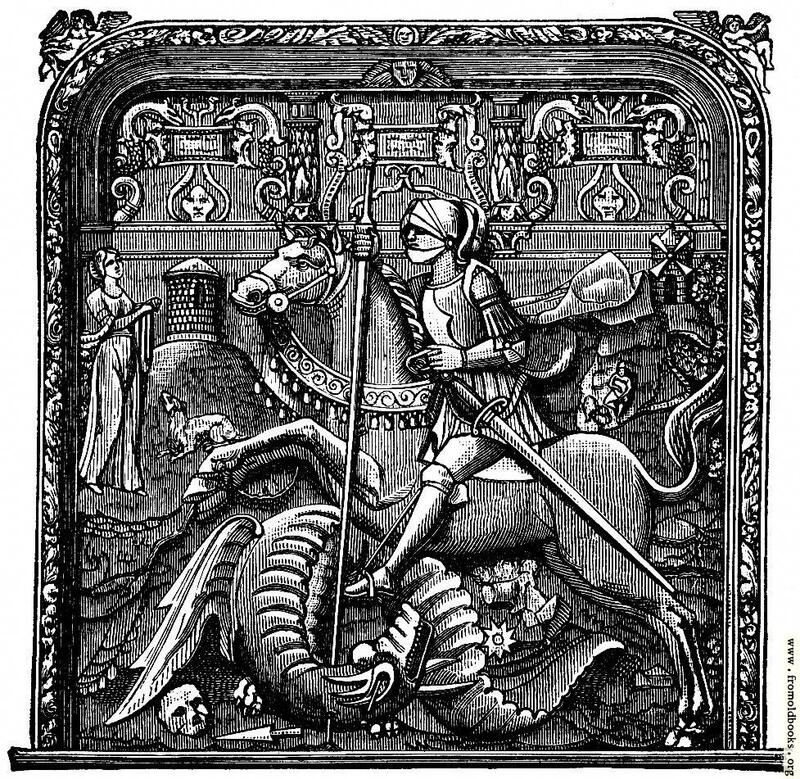 Under the dragon there’s a skull and a broken spear-head. The device is set in a frame with cherubs at the top.